One of the more recent breakthroughs in type theory, spearheaded by Elaine Schallock, involves the importance of considering “function pairs.” This stemmed from Elaine’s knack for understanding everything according to a framework of opposites (Jung displayed similar proclivities in this respect). She rightly observed that the functions are always paired with a complementary or “opposing” function in the functional stack, resulting in four function pairs: Ti-Fe, Te-Fi, Ne-Si, Ni-Se (Or: Fe-Ti, Fi-Te, Si-Ne, Se-Ni, whatever your preference:)). In our view, understanding function pairs is important for at least three reasons. First, they allow us to better understand the nature of the individual functions in the contrasting light of its complement. Exploring function pairs also help us better understand the motivations, interests, similarities, and differences of the various types. Last, exploring the function pairs is a helpful segueway to understanding the dynamics of the dominant and inferior function, which as we will see, is critical to understanding the types, as well as their respective paths to healthy functioning and personal growth. 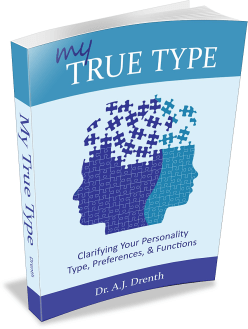 According to Myers-Briggs theory, Extraverted Intuition (Ne) is always paired with its functional opposite, Introverted Sensing (Si) in the functional stack, while Extraverted Sensing (Se) is always coupled with Introverted Intuition (Ni). NPs and SJs sport the Ne-Si pairing, while SPs and NJs utilize the Se-Ni pairing. NPs use Ne as either their dominant (ENPs) or auxiliary function (INPs). They generally exhibit good conscious control over its workings. For SJs, whose Ne is either tertiary (ESJs) or inferior (ISJs), it tends to function more unconsciously. Because it falls into the lower half of their functional stack, SJs tend to have mixed feelings toward Ne. Ne involves a propensity to survey and gather ideas (N) from without (E). As an extraverted function, it can be seen as sacrificing some level of depth in favor of breadth and extensivity. It serves to expand the number of imagined options, connections, and possibilities. Because of its divergent, open-ended nature, NPs are generally perceived as open-minded, since they cannot help but entertain other people’s perspectives. NPs also enjoy entertaining hypotheticals, bouncing from one theory or idea to another. NJs use Ni as either their dominant (INJs) or auxiliary function (ENJs). They generally exhibit good conscious control over its workings. For SPs, whose Ni is either tertiary (ISPs) or inferior (ESPs), it tends to function more unconsciously. Because it falls into the lower half of their functional stack, SPs tend to have mixed sentiments toward Ni. Ni is more convergent than Ne, gradually moving toward a single comprehensive vision or solution. Ni is expressed outwardly either through Fe or Te. Unlike Ne, which is outwardly scattered and disjointed, the outward expression of Ni, since is far more linear and streamlined. NJs prefer to penetrate deeply into a single issue rather than superficially bouncing from one topic to the next. NJs are not immune to long stories or monologues, as their Ni, when given the chance, will continue to penetrate a topic until it has been well-fleshed out. In light of these Ne-Ni differences, NPs and NJs can experience frustration with engaging with one another. Ne can be met with disfavor from NJ types, and to some extent from SP types. To NJs, Ne seems scattered, random, and arbitrary. Not having Ne in their functional stack, they can become irritated by or impatient with NPs, since NJs are naturally disposed toward inner (Ni) rather than outer perception of ideas. 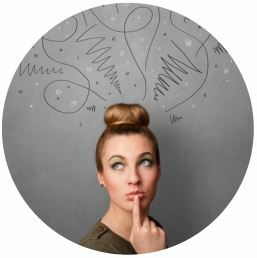 When engaged with a scatterbrained Ne, NJs can feel disoriented because Ne tends to disrupt the usual seamless workings of Ni. INJs may also struggle with NPs’ seeming inability to focus (NJs don’t typically have this problem) and may wonder if the NP is truly listening. NJs can also be disrupted by the constant Ne interjections which may eventually derail their Ni train of thought. Since SPs are more interested in sensory than ideational perception, they too can grow weary of Ne ramblings. NPs, in turn, may feel like NJs are too long-winded or overreaching in their assertions. They may also misread NJs as arrogant or overly opinionated, since NPs generally do not experience the same degree of confidence or conviction in their conclusions as NJs do. They may feel the NJ should be more outwardly open to other perspectives, which is of course a projection of the NP’s own natural preferences. In my experience, NPs and NJs tend to get along best when NPs can forgo their tendency to constantly jump topics, thereby allowing the NJ to more fully flesh out his or her ideas. While this may initially seem somewhat unnatural for NPs, they often discover that NJs can take them to new levels of ideational depth that would be difficult for them to achieve on their own. Once a new level of depth is achieved, NPs can then do their thing, expanding outward to forge broad connections and associations. Se gathers concrete and sensory information from the environment. For SP types, whose Se is either dominant (ESPs) or auxiliary (ISPs), this occurs more consciously than it does for NJs. SPs consciously “observant,” attending to the details of their surroundings. For NJ types, this Se information gathering is far less conscious, allowing them to rapidly, albeit unconsciously, amass sensory information from the environment. Se involves the perception of information through the five senses (i.e., sight, smell, touch, sound, and taste). It is sensual, instinctual, and appetitive. Se types love novel sensations, physical thrills, and material comforts. They are “sensation-seekers,” relishing novel experiences and the thrill of action. Consequently, SPs tend to be fairly liberal in their approach to the material world. They are your quintessential “consumers,” doing what it takes to acquire sensory or material novelty. Since both use Se, SPs and NJs often have higher standards and more refined tastes with regard to their material surroundings, their physical appearance, and their palate. Many enjoy cooking, wine tasting, and sampling new cuisines and restaurants. Si, by contrast, is a far more conservative function. Not only does it work to preserve and protect past precedent, but is also conservative with respect to the material world. Unlike Se types, who are constantly seeking novelty, Si types tend to be more routine, thrifty, and minimalistic with regard to their physical habits and the material world (especially if not raised in affluence). SJs and NPs are also less likely to lather on make-up or concern themselves with the latest fashion trends, opting for a less embellished, more “natural” appearance. Si-Se differences can contribute to significant disagreements in lifestyle preferences among the various types. SJs and NPs are disposed to viewing SPs and NJs as hedonistic and excessive in their consumption habits. SPs and NJs, in turn, may see SJs and NPs as overly conservative, bland, or unrefined in their lifestyle preferences. Therefore, when paired together in a relationship, these types may have to work hard to find a middle ground when it comes to spending and finances. 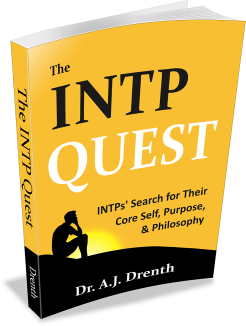 As an INTP, I admire the depth that NJs can go into. I can see the bias that Ann and Dragon mentioned, though. 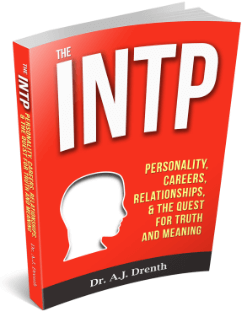 (In case you were wondering, apparently the author is also an INTP. 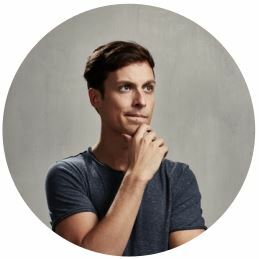 I looked him up: https://personalityjunkie.com/about-us/) At least it helps me understand why my INTJ mom gets annoyed when I bring up new topics in the middle of a conversation. 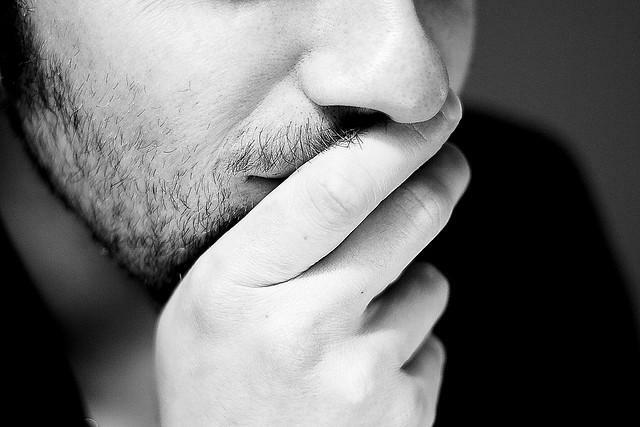 To add to this point: “INJs may also struggle with NPs’ seeming inability to focus (NJs don’t typically have this problem) and may wonder if the NP is truly listening.” Speaking for myself here – I’ve always had issues with my concentration span, but I *am* listening and taking in what they have to say, even though I’ve been told that I don’t *look* focused enough. It happens the other way around too: I’ve had people tell me to shut up as soon as I make the slightest attempt at coming up with a new topic. Although it may seem bias to Ni with regards to Ne dom/aux it’s actually signaling the power of their combined complementary abilities. They alternately kick start and boost each other for greater range and depth.